When Does Worship become Entertainment? Gravity never forgets. When something precious wobbles on a ledge about to fall, if we are not paying attention when the moment comes, it falls. Even when we are paying attention, something has to change before the onrushing moment of the tipping point or that precious something will fall while we are watching—gravity never forgets. Just a few years ago Christian worship balanced itself safely on many tried and proven ledges, far from any danger of falling. 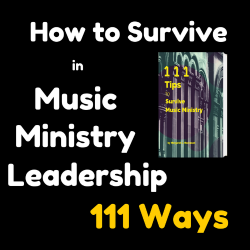 Christian worshipers were locked behind walls of tradition, telling them from generation to generation how to make their music and read the scriptures, whether to mourn or to celebrate at the Lord’s Table, and how to understand who they were in Christ. Then, for each group of them, the series of small changes began. Some point to Vatican II in 1962-1965 as the genesis of change in Christian worship and this has much truth in it. At this conference the Roman Catholic Church attempted to merge with the modern world through the use of indigenous languages. The 20th Century Pentecostal/Charismatic Revival and Renewal movements attempted to restore the gifts of the Holy Spirit and the direct leadership of the Spirit to worship. The 19th Century Holiness Revival and the 18th Century Methodist movement attempted to reconnect personal piety to public worship. At the heart, The Protestant Reformation and the resultant Catholic Counter Reformation were attempts to establish public worship on a solid biblical and traditional foundation. These historic events can be seen as sincere attempts to pull public worship back from the edge and stop its dangerous wobbling. Today, the music of Protestant Christian worship has escaped the bounds of its various sanctuaries, collecting bits and pieces of all the previously separated traditions as it broke free. To many observers it now it appears to be running amok in the world. Evangelicals try to worship like Pentecostals without becoming Pentecostals. Pentecostals abandon or de-emphasize their Pentecostalism to appear more Evangelical. Mainline churches try a-little-bit-of-this-and-a-little-bit-of-that at times other than Sunday morning. Protestant groups seem to be wobbling at a precarious edge in their practice of public worship. Can gravity be depended upon to forget this time? We are talking about worship renewal—the intentional adjustment of public worship towards becoming a more authentic and effective force in the world. This is different from revival, which is something God does in response to our prayer/obedience and in the sovereignty of His Kingdom. This is different from reformation, which is something we do when motivations to please God are born fresh in our hearts. Renewal is that rebirth, that renaissance of the intention to please God with our lives, our worship, and our work. We sense that something is out of balance. 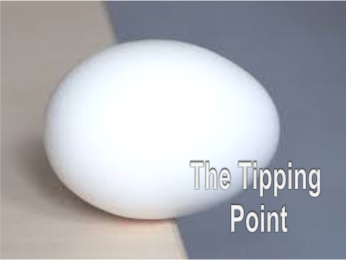 Something is causing the wobble and we are the ones to fix it before we reach a tipping point. From this holy impulse comes an important question, one that determines the particular “small changes” that will lead us to the big changes beyond the tipping point. Which book will we choose as our source and authority? The Book of Man’s Wisdom. If that seems too far on the Fundamentalist’s side for you, stay with me—it gets much broader. The Book of God’s Wisdom is the more difficult of the two choices. This way requires prayer, thought, humility, investigation, careful observation and deep introspection. It begins with the Bible but doesn’t stop there. This is not the way for pragmatic, quick-fix leaders. In the Holy Scriptures God speaks through prescriptive statements telling us what to do and what not to do. He also speaks through descriptive passages that tell us what His people did; we learn principles from these histories and metaphors. In addition, God speaks through His creation, through godly reasoning, and through the historical record of those whose lives and methods found His approval in the past. One the best methods to use to discover what God’s Book of Wisdom says on an issue is called the Wesleyan Quadrilateral. It consists of four questions. These questions are not equal in force; the lower three are judged by the first. The Authority of Scripture judges the others. Here is the original version. Here is my Pentecostal adaptation. From a Pentecostal standpoint, I alter the fourth question from “What does reason say?” to “What does the Spirit say?” thus engaging the Pentecostal concept of the direct ministry of the Spirit—a sense of discernment from the Spirit of God within. Using this method as we consult the Book of God’s Wisdom takes us far beyond proof texting. This method of theological reflection is based on these assumptions. God’s wisdom is trans-cultural—It is adaptable to every culture because God deals with the hearts of people, which have the same needs from group to group. God’s wisdom is for all times—The principles of God apply in every age of mankind, past, present, and future. Every Scripture is God-breathed (given by His inspiration) and profitable for instruction, for reproof and conviction of sin, for correction of error and discipline in obedience,[and] for training in righteousness (in holy living, in conformity to God’s will in thought,purpose, and action), So that the man of God may be complete and proficient, well fitted and thoroughly equipped for every good work. Who is wise and understanding among you? Let him show by good conduct that his works are done in the meekness of wisdom. But if you have bitter envy and self-seeking in your hearts, do not boast and lie against the truth. This wisdom does not descend from above, but is earthly, sensual, demonic. For where envy and self-seeking exist, confusion and every evil thing are there. But the wisdom that is from above is first pure, then peaceable, gentle, willing to yield, full of mercy and good fruits, without partiality and without hypocrisy. The heavens declare the glory of God; and the firmament shows His handiwork. Day unto day utters speech, and night unto night reveals knowledge. There is no speech nor language where their voice is not heard. The Book of God’s Wisdom stands above all other sources. In many ways, consulting the Book of Man’s Wisdom is the easy way forward. The beliefs and principles of man’s shifting wisdom pervade the culture from education to entertainment and from government to garbage collection—it is everywhere! persuasive presentations pummel us without relief. If by “small decisions” this flood of error seeps into our homes, our churches and our hearts and minds, the current is shoving us closer and closer to a tipping point. With these sources and questions we are ready to analyze the state of worship in the church today. 1.reverent honor and homage paid to God or a sacred personage, or to any object regarded as sacred. 6.to render religious reverence and homage to. 7.to feel an adoring reverence or regard for (any person or thing). 8.to render religious reverence and homage, as to a deity. 9.to attend services of divine worship. 10.to feel an adoring reverence or regard. 3. hospitable provision for the needs and wants of guests. 1. to hold the attention of pleasantly or agreeably; divert; amuse. 2. to have as a guest; provide food, lodging, etc., for; show hospitality to. I believe finding this terrible tipping point is an important thing to do. Content—what is the message of the music, the technology, the spoken word, and the setting of the service? Intent—what is the motivation behind the selection of these same elements? Content is more easily analyzed since it is visible and audible, easily observed and measured. Intent is more difficult to observe. This requires drawing conclusions of what is in the hearts of the planners and presenters based on their choices, actions, and the results they get. This is a must riskier task than measuring Content. What other content can be presented? Poor song choices—songs that function poorly or that serve no function at all. All of these things happen during worship and hinder the worship ministry of the congregation. Judging the intentions of worship planners and leaders must begin with the benefit of the doubt. While it is possible for planners and singers to have motives that are impure, self-centered, and manipulative, we will not consider these as part of the analysis. False worshipers and leaders will be dealt with better by the Holy Spirit, than we could ever handle the task. Our assumption will be that all practices and plans spring from hearts that are true and souls fully occupied by the Holy Spirit. That said, the principle Jesus taught about the contents of the heart revealed in the products of the mouth hold true here. and an evil man out of the evil treasure brings forth evil things. This truth enables us to judge the heart of the presenter by the thing he/she presents. The style of ceremony chosen reveals the theology of the worship planner. The style of the music chosen reveals the intention of the leader. The presentation of the music reveals the audience/congregation targeted. The demeanor of the presenters reveals their values and those of their leaders. These are the real things revealed when the countdown ends, the lights go up and the worship service begins. When it is all over, whatever their intentions, the planners and presenters will have given what they have to give, and those things will be what the people will carry home with them. Will the questions be personal, focused on the human aspects of performance? Will the questions be spiritual, based on the sense of what God wants and where He is leading the church? The nature of these questions reveal the intent of the service planners and presenters. If we are indeed approaching the tipping point, we may soon see our public worship services become poorly drawn cartoons of what is “cool” rather than excellent encounters with what is holy and true. At best, the church is a distracted church, distracted by the unrelenting succession of small changes in music, lighting, and text that is rarely explained—a haughty contest between tradition and innovation about public worship. As long as we believe that our power to gain the attention of a distracted world is based in our cunning and skill, we will simply put our own distraction on public display in the name of Jesus. Just like the world, we need Jesus! It is useless to try and out-produce the entertainment world. We don’t have the budget or the brains. The good news is this is not our calling! We are called to be witnesses to Jesus—alive in public worship and at work in the everyday world. The anointing of the Holy Spirit is the most essential element of public worship and this requires a pure heart. When we speak, the Word of God must be our message. When we sing, the joy and truth of God must be our song. When we pray, the presence of Jesus needs to fill the room. When we worship, the Lord Himself must walk among us with healing in His wings. When we learn to put Jesus at the Center of our services and to lean heavy on the Holy Spirit as we worship Jesus and tell His Story, we will stand out clearly against the backdrop of a world where shapes and sounds and sentiments blur together into a colorful confusion. Our job is not to add to the confusion, but to speak clearly what we know, who we know, and what we have experienced in Jesus. Let’s turn this whole discussion on its head by choosing a series of changes that will bring us to a different tipping point. Let’s place place all our preferences before the Lord for His approval. Let’s study the Word to find out what God expects from our public worship. Let’s build our churches on the character of God and not on the desires of people. Let’s seek the presence and power of Jesus above all things. Let’s seek the fire of the Holy Spirit in our walk so that we are witnesses, living proof of the resurrection of Christ. Let’s do our work in His name, for His glory, and with all our might. Let’s keep His name on our lips, His love in our hearts, His Coming in our minds, and His power in our hands. Each of these sets of changes involves constant consultation with the Book of God’s Wisdom. From the Lord Himself will come small but significant changes that will cause our traditional/contemporary worship conflicts to wobble in a good way as a new tipping point becomes possible. Then we will display and demonstrate the praises and perfections of the One who has called us and empowered us to be His witnesses. The theology in use is one of using worship as an outreach tool. Research is done on social and cultural levels, not spiritual ones. Calculations are made to include and/or exclude certain groups of people. Rules of presentation from the entertainment world increase in importance. Using the concert model, the congregation is treated as an audience. Outward appearances are of primary concern. Services are carefully planned by committees seeking excellence rather than by anointed leaders seeking the anointing of the Spirit. Public Worship Services are presentational, focused on the desires of people. Demographics rule and the culture is a major source. Without shame, the church is divided by generational and cultural preferences. Presentation and excellence are the deciding factors, not the move of the Spirit. Technology is used to isolate each audience member and highlight the presenters on stage. Matters of the heart and integrity of motivation are marginalized. Services are evaluated by the response of the people. While retaining a Christian message, worship arts are now performance arts. Doctrines deemed controversial are not explored. Little or no thought or place is given to the principles and directives in the Word of God. The exclusion of whole people groups is seen as success. The clock rules the flow of the service. The purpose of each song and event is to get to the next song or event. The lack of content in the presentation is compensated for with impressive technology. Presenters are ranked in importance by skill. They are performance artists, not priestly ministers. With earthbound goals, evaluation ignores True spirituality. The hour has come to worship God in Spirit and in Truth; this is the Father’s great quest. What was begun in the power of the Spirit of God cannot be finished in the power of man. It is foolish to think that it can be. Public Worship is done by human beings who are filled with and empowered by the Holy Spirit. When we gather to worship, we must tell the Jesus story and even go beyond that. The church must welcome His presence as well as His truth. When we do, we worship Him in Spirit and in Truth and He walks among us in power. This is what the world needs most. How can I be sure? Because like gravity, grace never forgets. O foolish Galatians! Who has bewitched you that you should not obey the truth, before whose eyes Jesus Christ was clearly portrayed among you as crucified?… Are you so foolish? Having begun in the Spirit, are you now being made perfect by the flesh? This is such a powerful article and one that I pray many (okay, ALL) worship leaders, worship musicians and pastors READ! Thanks for your inspiring thoughts! Thanks! Feel free to share! Very timely considering the recent service in which we paerticipated. I wonder if many churches are past the point already. I agree with much you have written here. I believe there are othe pressures weighing on modern church function. Many of their own making. All in all a good read. I very rarely comment but wanted to thank you for the giving me things to ponder. Bob: Thanks for the comment. Thanks for being a faithful reader! All in all, I try to encourage deep, biblical thinking about worship! We served as Missionaries for over 50 years in Latin America and that includes one term in the Canary Islands, Spain. Our preaching was extremely simple, yet never with humor. We always attempted to use Scipture in it’s simplicity to people who had never heard the Gospel. At times when talking about the past, I used simple language and that included some of my experiences in Latin America and Spain. Later our ministry took us throughout Latin Amernica to be the speaker in special meetings, and again we spoke in simple language so every one would understand the message I was delivering. We thank God for these 50+ years of service in of our beloved Latin America and Spain. In just a few days I will embark on a missions trip to Hungary where I will be instructing young worship leaders in biblical theology. Pray that I can keep it simple–following your example–and that the anointing will be strong! Thank God for the freedom we have to preach and teach the gospel throughout Latin America and Spain. We wish we were physically able to continue, but physically the doctors said no. After all , I am only 88 and will be 89 in about two weeks. I am honored that you read my article! Thank you for your service to the Lord! I know your reward in heaven will be great. You are about 20 years my senior and I am challenged by your example! By the way, our 2nd grandson is due the end of August and he will be named Samuel! I am praying he will be a great and faithful man of God, too!